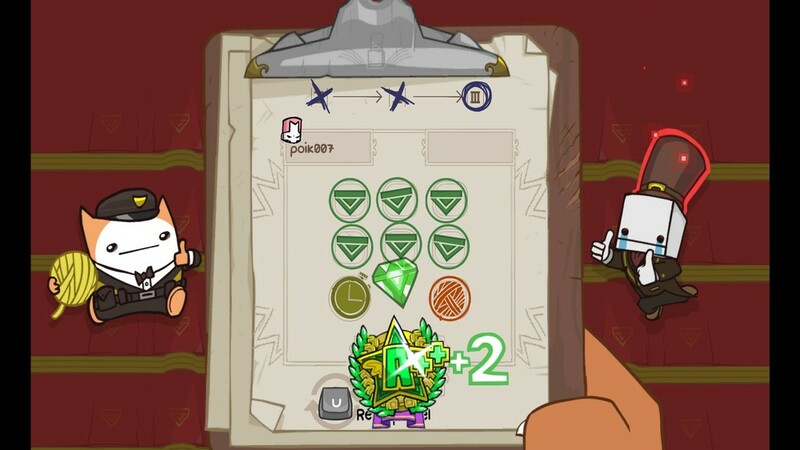 BattleBlock Theater is a platforming game where you need to collect gems in order to complete sets of level with an ever increasing amount of mechanics stacking on top of each other. This game is pretty quirky with the way it tells a story and it's also in general pretty good, although I've found that it wasn't focused enough in the platformer way or the puzzle way for my tastes. 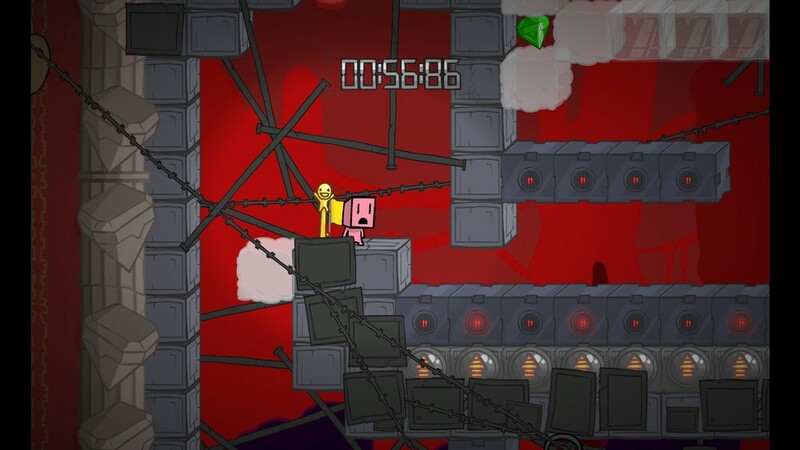 The way most levels work is simple, you're in a map and you need to find three gems to open the exit, and leave. Along the way, you need to use power-ups (like a jetpack or wings or a cube dog thing that reminds me of Poochie from Yoshi Island), move blocks, use teleporters, bounce on springs and ride boats. 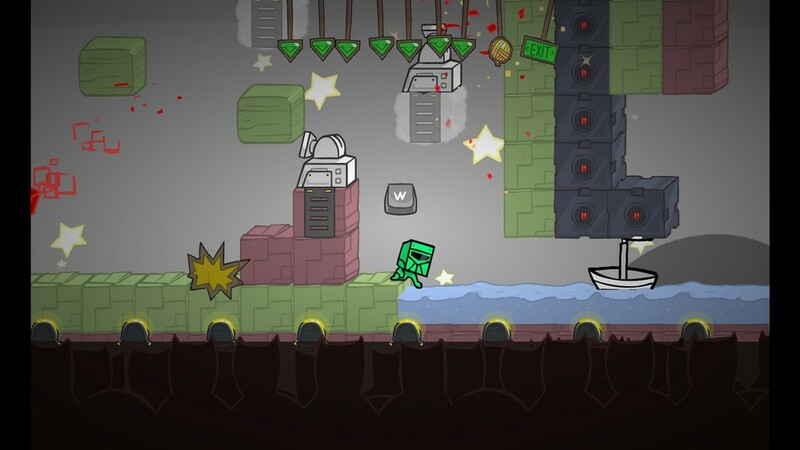 There also are hazards like blocks that shoot beams, cannons, water and enemies. The enemies are a weird addition since they mostly just hinder your progress more than they usually kill you. And this is where the focus could've been tighter, I feel like. On one hand, the puzzles and the platforming are enough to create a solid package, on the other hand, you unlock weapons that vary wildly in order to help you defeat these enemies, so I feel like the game should make a clearer choice on how much enemy presence there should be and how much of a hinderance they are. Otherwise, the gems and hidden balls of yarn add plenty of reasons to explore the vast levels and solve some of it's hidden puzzles. Of course, walking into an invisible wall isn't a puzzle by itself, but it's part of the exploration process. Sometimes the physics will get a bit weird - like when I pulled a block and proceeded to move on thin air - but most of the time you'll be able to get where you want so there rarely are problems of execution when you find how to get somewhere. At the end of each world there are a few timed levels where you need to get to the exit as fast as possible, they're okay for what I've played of the game, maybe at some point they get really difficult and it becomes frustrating to complete them, but I've never got to that part of the game, if it exists. 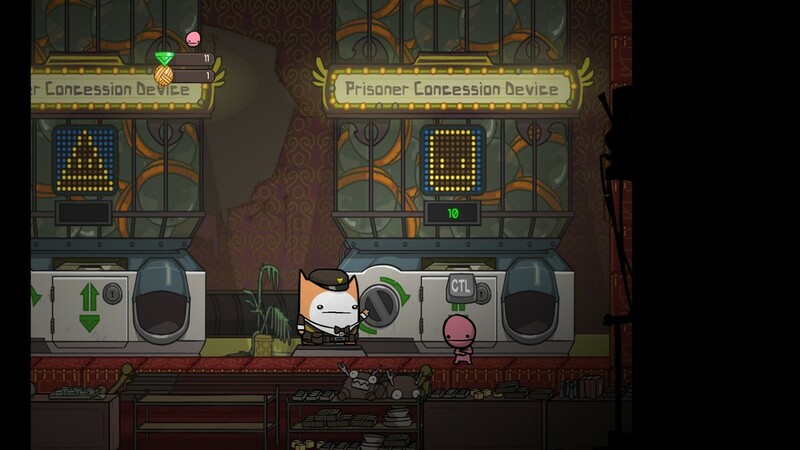 The constant addition of mechanics - new block types, mostly, and sometimes new enemies and hazards - and the draw of wanting to know what happens next in the story made me play a bunch of BattleBlock Theater luckily, I liked what I played.